Beautifully renovated townhome located in Cedars East Tennis Resort. Gorgeous wood flooring in living room, dining room, master bedroom and guest bedroom and quality tile flooring in kitchen and baths. Hardie board siding has been upgraded on the exterior. This home has been well taken care of and has been used primarily by owners. Kitchen has granite countertops, stainless steel appliances, tiled backsplash and rollout drawers. 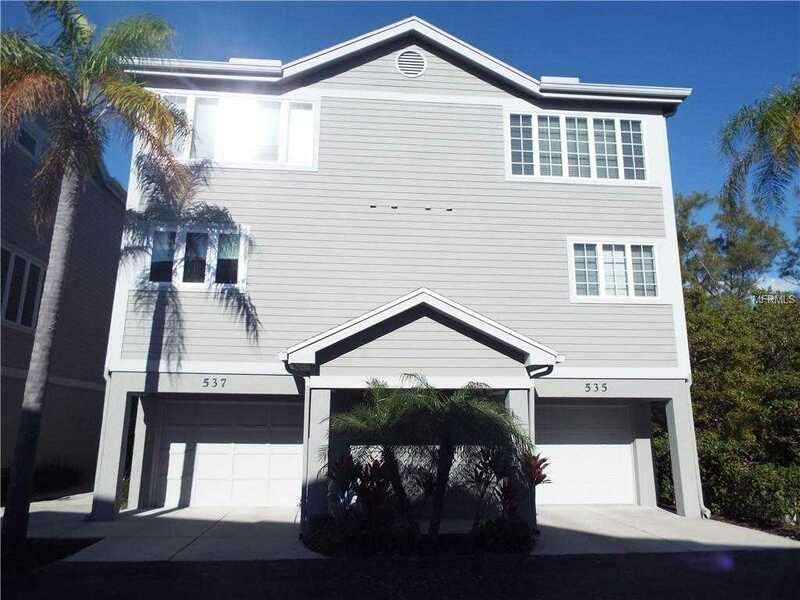 This lovely 2 bedroom, 2.5 bath townhome is offered turnkey furnished and features a large open dining room, living room, enclosed screened lanai, oversized attached garage and in unit washer and dryer. Ready to rent out as a vacation rental or move in right away. 13; 13; Cedars East Tennis Resort offers ten Har-Tru Tennis Courts, Clubhouse, Pro Shop, Fitness Center, Junior Olympic Pool, Nature trails, fishing pier, Restaurant and Tiki Bar. Walk-way through pristine mangroves to Jr. Olympic sized pool. Tennis and fitness memberships available and can be purchased separately. Incredible beaches, town tennis facilities, fishing, kayak rentals, shopping and restaurants nearby.